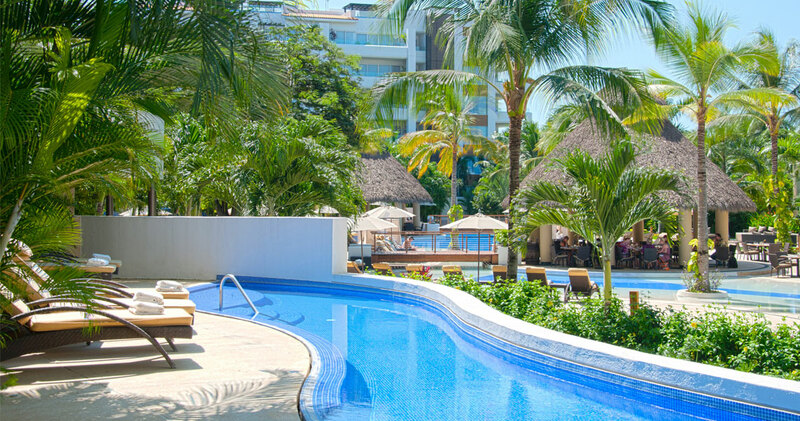 Not all the families want the same... that's why with the Marival Resort All-Inclusive Family Emotion program you get to customize the perfect family vacation - from beginning to end. 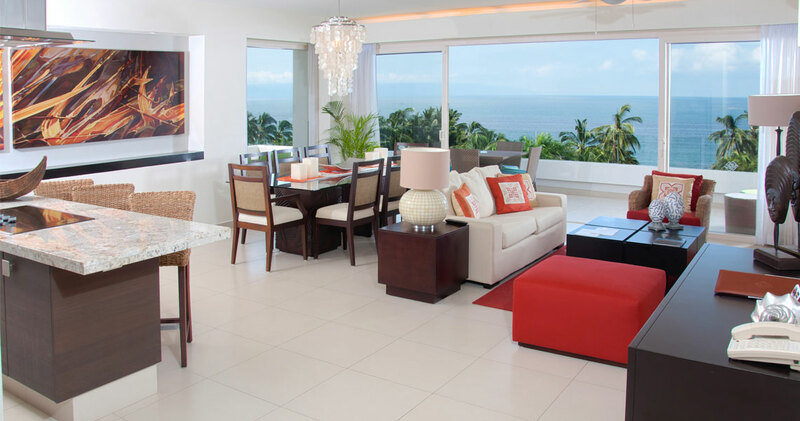 Marival Residences Luxury Resort Accommodations- Everyone Together Under One Roof! Award Winning 4 Diamond Resort. A World Apart in a Class by Itself. 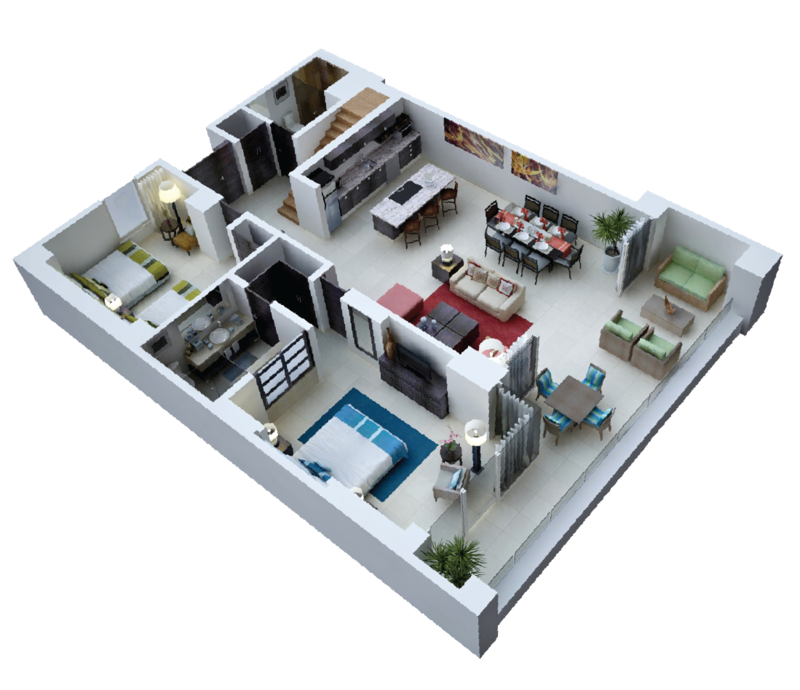 Start by choosing your perfect style of accommodations... spacious 2 or 3 Bedroom Residences from 1711 to 2691 sq ft. 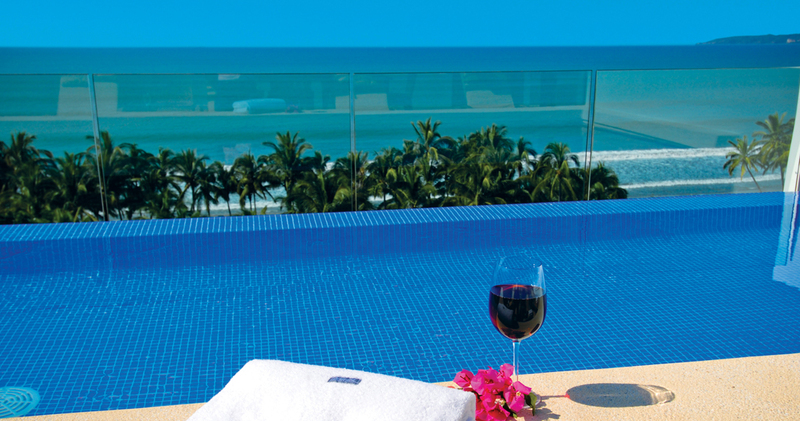 Different locations provide the best family experience, Demi-Pool with "walk-out" patios, semi-private pools including full food and beverage service, Luxury Ocean View with over-sized, comfortably furnished private terraces and breathtaking views of the Pacific, and Penthouses with your own private roof top plunge pool and sun deck. Or 3 Bedroom, 2-Story Private Villas, with private backyard, pool, patio and gazebo. The ultimate accommodations for families -- everyone together under one spacious roof, with plenty of privacy for parents and kids! Your customized Family Emotion experience starts with a 1711 sq ft. The ultimate accommodations for families tucked away in a world of their own -- everyone together under one spacious roof, with plenty of privacy for parents and kids! The ultimate accommodations for families who want to soak in breathtaking views of the pacific framed with mountain backdrops cascading to the sea -- everyone together under one spacious roof, with plenty of privacy for parents and kids! 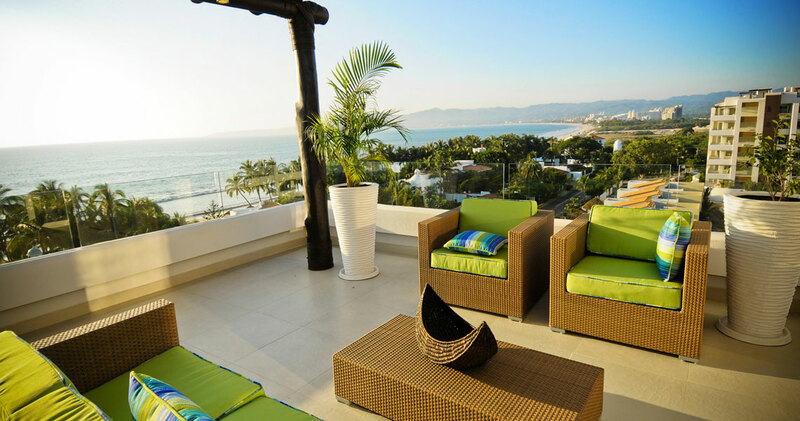 The ultimate accommodations for families who want awe- inspiring views of Banderas Bay and the luxury of your own private rooftop plunge pool and sundeck –with everyone together under one spacious roof, with plenty of privacy for parents and kids! The ultimate accommodations for families -- everyone together under one spacious roof, with plenty of privacy for parents and kids! Your customized Family Emotion experience starts with a 2691 sq ft. Luxury Residence. The ultimate accommodations for families -- everyone together under one spacious roof, with plenty of privacy for parents and kids! Your customized Family Emotion experience starts with a 1711 sq ft. Luxury Residence. Featuring separate master and children's bedrooms, marbled bathrooms with special kid-friendly amenities and toys, fine linens and even pillow menus provide the perfect family resting places. A completely appointed family living room with full entertainment center and electronics access, dining room, kitchen fridge stocked with family snacks and goodies, provide all the conveniences of home -- even a washer and dryer for those who want to pack light for vacation. 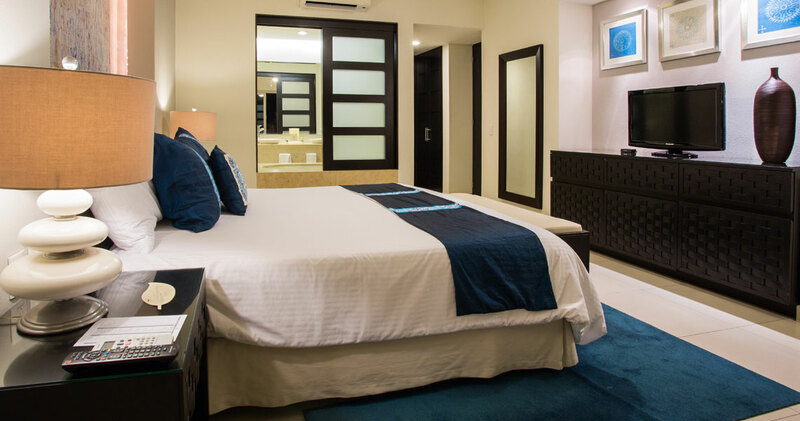 These Family Residences have 1 king bed, 2 double beds, living room sofa bed, 2 bathrooms and can accommodate up to 7 guests. The ultimate accommodations for families tucked away in a world of their own -- everyone together under one spacious roof, with plenty of privacy for parents and kids! 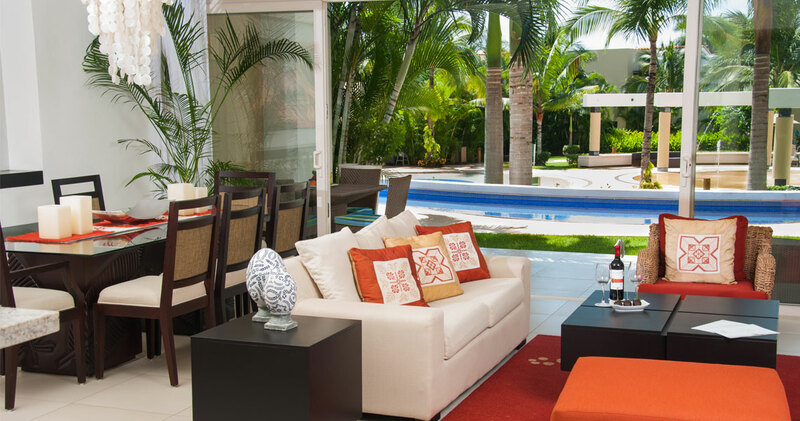 These provide a "walk-out" experience to comfortably furnished patios and their adjacent secluded semi-private river-like plunge pools, with full food & beverage service provided throughout the day. These Luxury Residences are 1711 sq ft., with separate master and children's bedrooms, marbled bathrooms with special kid-friendly amenities and toys, fine linens and even pillow menus provide the perfect family resting places. A completely appointed family living room with full entertainment center and electronics access, dining room, kitchen fridge stocked with family snacks and goodies, provide all the conveniences of home -- even a washer and dryer for those who want to pack light for vacation. Perfectly suited to families who want an experience where they can slide their patio doors open and step into their winding demi-pools. 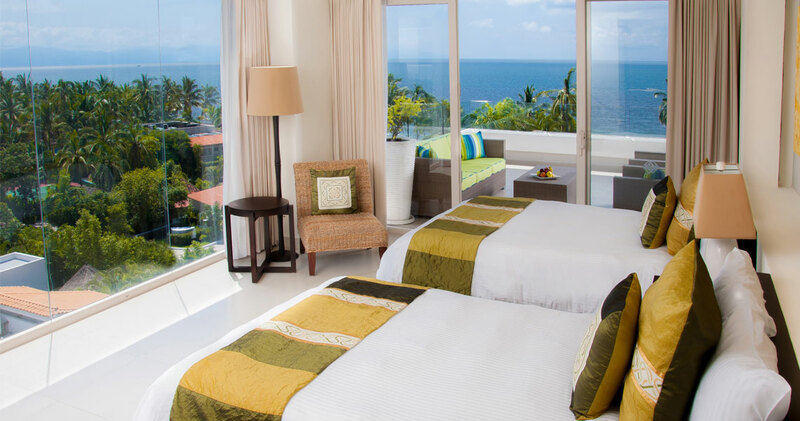 The ultimate accommodations for families who want to soak in breathtaking views of the pacific framed with mountain backdrops cascading to the sea -- everyone together under one spacious roof, with plenty of privacy for parents and kids! 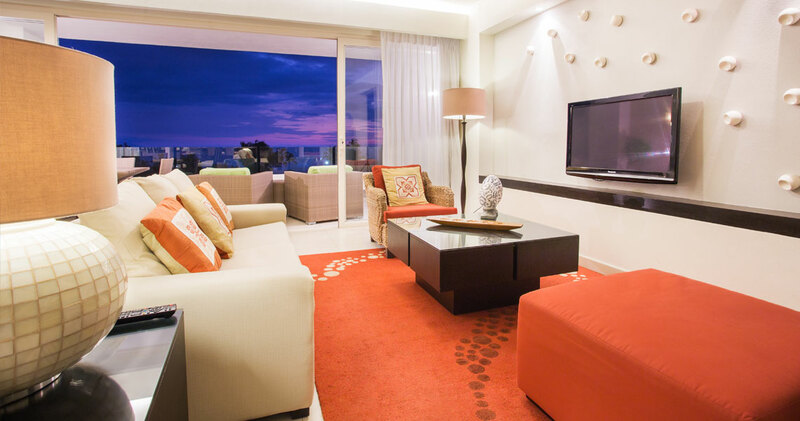 Over-sized, comfortably furnished private terraces provide the perfect panoramic vantage point from sunrise to sunset. These Luxury Residences are 1711 sq ft., with separate master and children's bedrooms, marbled bathrooms with special kid-friendly amenities and toys, fine linens and even pillow menus provide the perfect family resting places. A completely appointed family living room with full entertainment center and electronics access, dining room, kitchen fridge stocked with family snacks and goodies, provide all the conveniences of home -- even a washer and dryer for those who want to pack light for vacation. 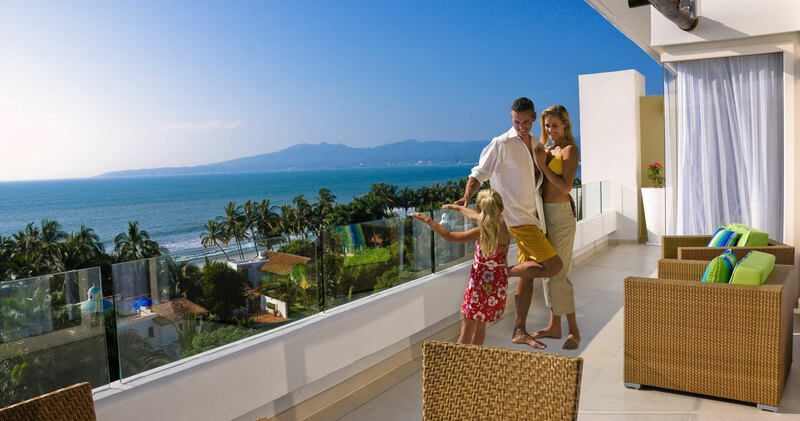 Perfect views of this world famous Bay and Pacific paradise that the whole family will remember forever. 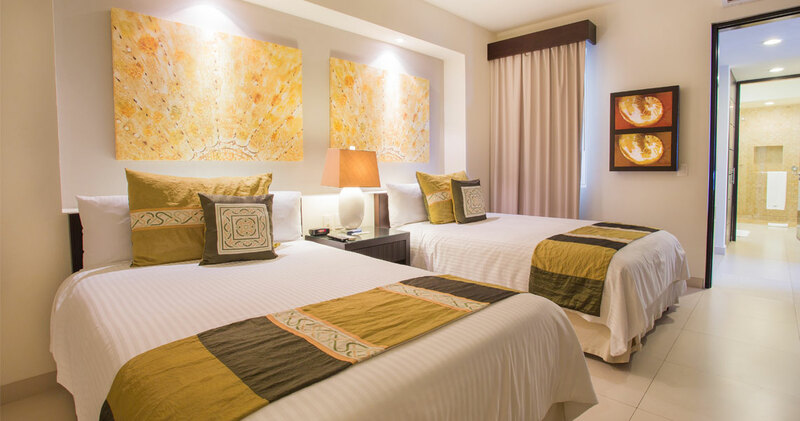 These Residences have 1 king bed, 2 double beds, living room sofa bed, 2 bathrooms and can accommodate up to 7 guests. Extraordinary “Top of the World” Rooftop Two Bedroom Penthouses are 2750 sq ft. with separate master and children's bedrooms, marbled bathrooms with special kid-friendly amenities and toys, fine linens and even pillow menus provide the perfect family resting places. A completely appointed family living room with full entertainment center and electronics access, dining room, kitchen fridge stocked with family snacks and goodies, provide all the conveniences of home -- even a washer and dryer for those who want to pack light for vacation. Treat your family to a unique penthouse experience. The ultimate accommodations for families -- everyone together under one spacious roof, with plenty of privacy for parents and kids! Your customized Family Emotion experience starts with a 2691 sq ft. Luxury Residence. Featuring separate master and children's bedrooms, marbled bathrooms with special kid-friendly amenities and toys, fine linens and even pillow menus provide the perfect family resting places. A completely appointed family living room with full entertainment center and electronics access, dining room, kitchen fridge stocked with family snacks and goodies, provide all the conveniences of home -- even a washer and dryer for those who want to pack light for vacation. Spread out, relax and enjoy a perfect family vacation. 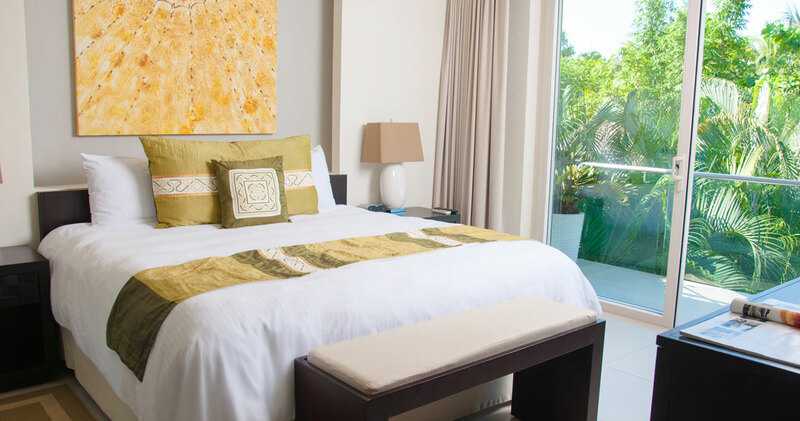 These Residences have 2 king beds, 2 double beds, living room sofa bed, 4 bathrooms and can accommodate up to 9 guests. There is nothing like the All-Inclusive Family Villa Experience! You’ll live in a home-of-your-own, with its own secluded location and private back yard with private pool, patio and gazebo. 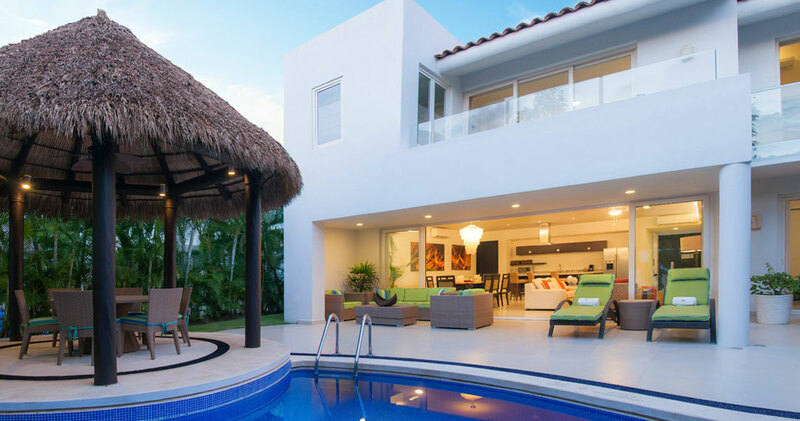 The moment your family enters these exquisite 3-bedroom 2-story villas, they are in a world apart, in a class by themselves. The contemporary décor of these exclusive homes features separate master and children's bedrooms, 2 upstairs and 1 down, and separate private bathrooms as well. Walk through the open family living area to glass doors that glide open to allow outdoor paradise to meet indoor luxury. Your own full size private pool awaits you in a private terraced garden setting that is made for family entertainment and fabulous times. The full kitchen stocked with family snacks and goodies, is prepared for your arrival. Plan your family party, indoors or out, sizzle the pan yourself or arrange for the services of a personal family chef during your stay. Whether you cook, hire a chef or select from the extensive in room dining menu, your biggest challenge will be deciding what to choose! 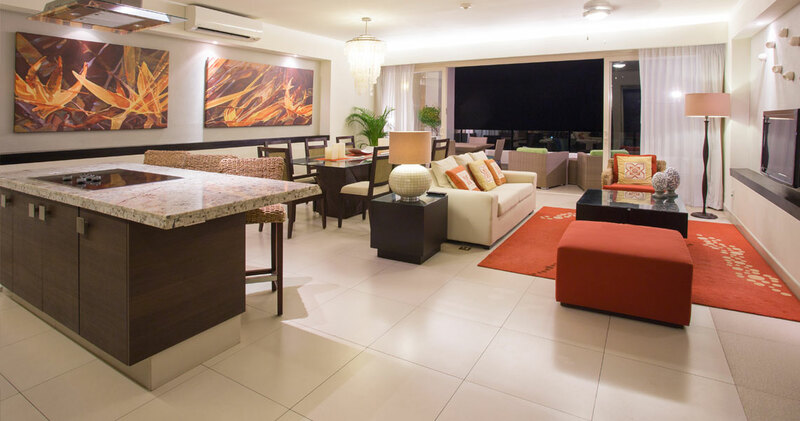 On the ground floor you have one bedroom that opens right out onto the terrace and pool area and also you will find a studio that you can conveniently set up as a private office if you have the need to work – hopefully just a little – this is family time. As you ascend the broad well-lit stairs, you’ll come upon another sitting room or salon that can be used as a reading room or den-- perfect for the kids with its own wide-screen TV and electronics access, or slide the wooden doors out of the wall to separate it as an additional bedroom, also with its own full bathroom. A second bedroom identical to the one downstairs has a private terraced balcony while the very large master bedroom is designed with a private balcony overlooking the lovely interior garden. Full baths are completely decked out with the most luxurious appointments as well as wonderful bath accessories, special kid-friendly amenities and toys. Comfortably sleep up to seven people in any of these incomparable villas. It’s your family’s home-away-from-home, and they will likely want to return again and again.